Delta is one of the largest global airlines, helping more than 180 million travellers get to the places they want to go each year. With more and more customers pushing for sustainable practices, shown by 9 out of 10 millennials willing to switch to brands and companies associated with a particular cause, Delta is responding to the evolving needs of its customers by committing to carbon neutral growth. 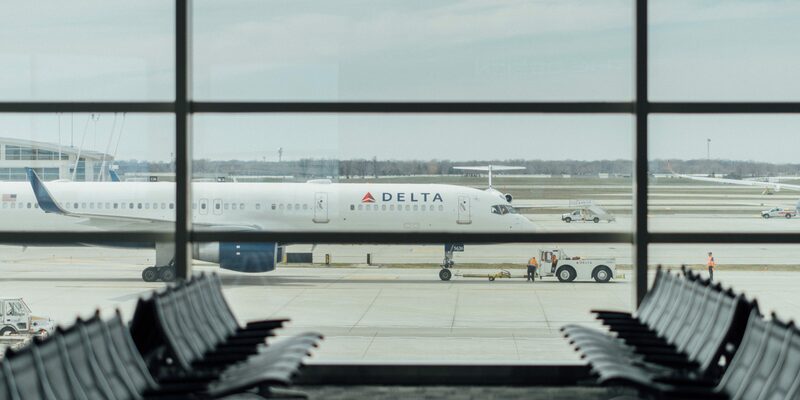 The air travel industry accounts for 2% of carbon emissions from all human activities, and Delta is working to cut that impact in half by 2050. While the CORSIA regulations set out a goal to offset the growth in the emissions for international flights for the whole aviation industry starting in 2021, Delta has acted early in order to achieve a goal of carbon neutral growth compared to its total 2012 emissions, starting in 2013. Jet fuel is the airline’s greatest source of carbon emissions, at 98.5%, and Delta has introduced new, more efficient aircraft to help improve overall fuel efficiency. Additionally, since 2013, the airline has purchased carbon credits to compensate for the year-over-year growth in fuel consumption associated with increased demand. By purchasing some of the offsets needed from Ecosphere+ to rebalance its carbon footprint, Delta is supporting our projects in Peru and Guatemala, areas where there are critical rainforests. Forests not only store carbon, but they are essential to the global economy. Avoiding deforestation helps protect the value they store and causes a chain reaction of other positive impacts, like supporting endangered species such as the Spectacled bear, empowering women in local communities like Mirza, and creating a market for sustainably produced commodities. Ecosphere+’s projects get to the root cause of why forests are being cut down and then work with local communities on economic development plans that enable them to switch to more sustainable jobs. For example, in Peru, some of the deforestation arises from illegal gold mining. Locals can now join cocoa cooperatives to sustainably grow cocoa, with technical support from us, and then process the raw cocoa beans into value-added products at the cocoa processing facility we financed. Delta is an example of an airline acting ahead of the CORSIA regulations. If your business is looking to offset its emissions or prepare for CORSIA, contact us here. You can also read our aviation blog for more information.